Le Meridien condominiums in Jacksonville Beach, Florida. Le Meridien is one of Jacksonville Beach's newest and most affordable luxury oceanview high-rise condominiums. With eight expansive floor plans ranging between 2,133 and 3,331 sq.ft., this 10-story building offers 25 luxury villas including 4 penthouses feature top-of-the-line amenities such as designer windows, open and airy layouts, reserved parking, outdoor pool and spa, gas fireplace, wet bars for entertaining, 10-foot pocket doors, porches facing either east or west providing unobstructed views of both sunrises and sunsets. Every residence has access to the community's beachfront swimming pool and enclosed parking garage on the ground level. Le Meridien will feature four penthouses located on the 9th and 10th floors, each with more than 2,600 square feet of living space and an additional 614 square feet of lanai area. Other floorplan designs offer 2,133 square feet and 2,436 square feet of living space, as well as more than 200 square feet of lanai space--one of the largest covered balconies in the area. 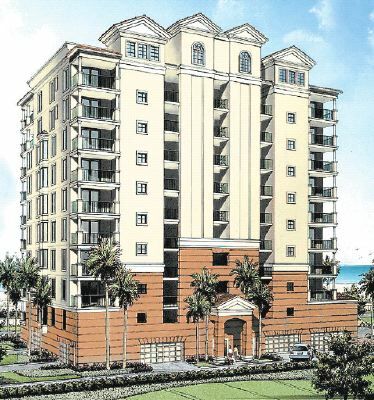 For more information and reservation call (904) 307-8998 to act on your behalf, as a buyers agent, at no charge to you.